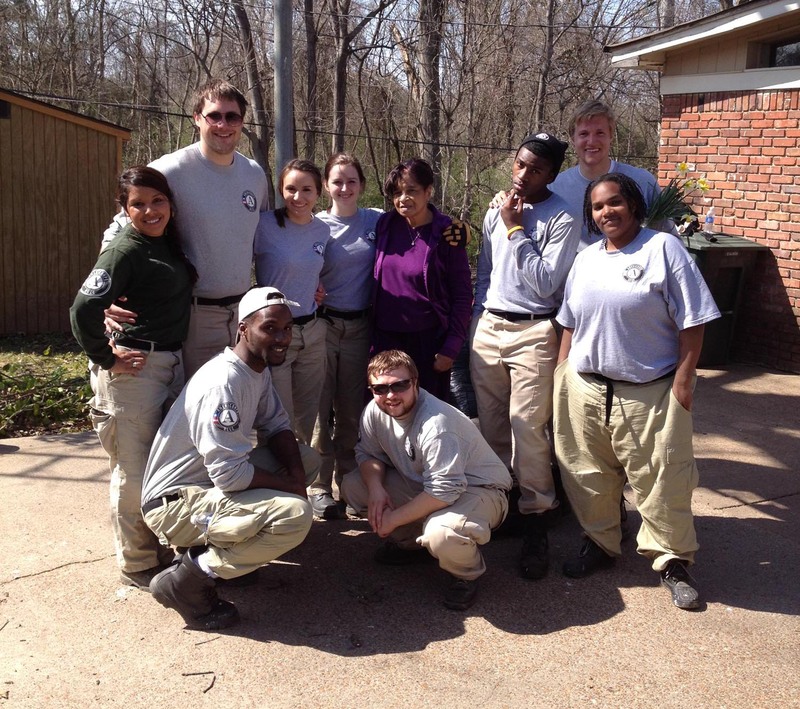 AmeriCorps NCCC River 7 Team with Southwest Memphis homeowner. Today starts our final week of eight with the AmeriCorps NCCC River 7 Team at the C.H. Nash Museum at Chucalissa. River 7 is the third AmeriCorps NCCC Team our Museum has hosted since 2012. The three teams have operated in a unique partnership with the C.H. Nash Museum, the Westwood Neighborhood Association, and the T.O. Fuller State Park. 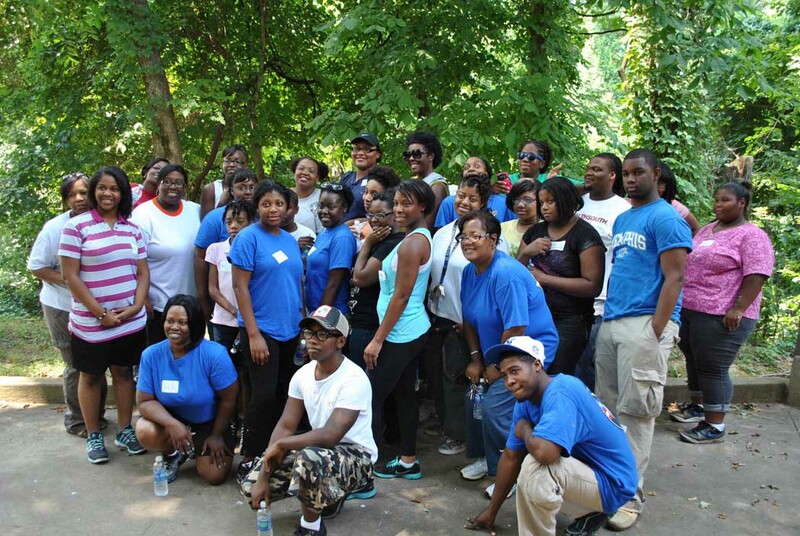 The Team worked in the Westwood neighborhood with elderly homeowners to help with landscaping and structural repairs. At T.O. Fuller State Park the Team planted over 1000 trees and installed signage along the six miles of trail. At the C.H. Nash Museum, the Team helped reconfigure the museum’s library and repository and completed the refurbishment of a residential facility that will house future community service teams. 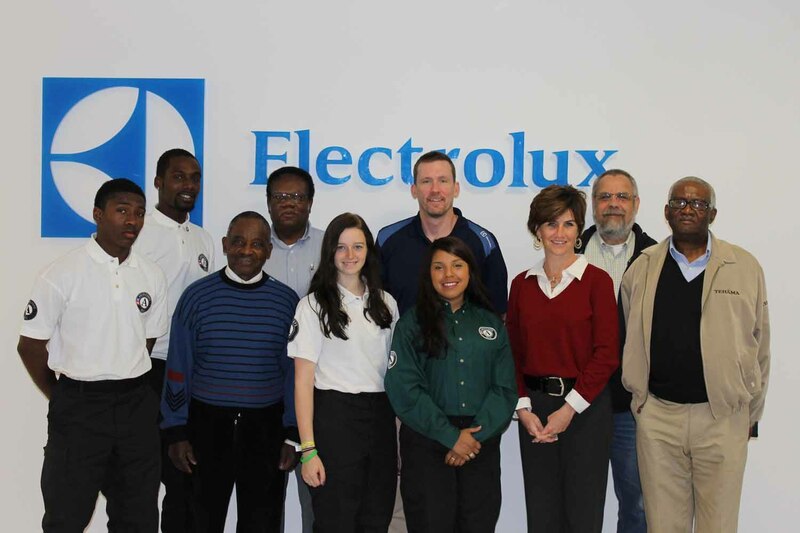 The AmeriCorps NCCC River 7 Team also worked with employees from the newly constructed Electrolux plant who volunteered and provided economic support for the home repair projects in Westwood. Click here for additional information about the River 7 Team. 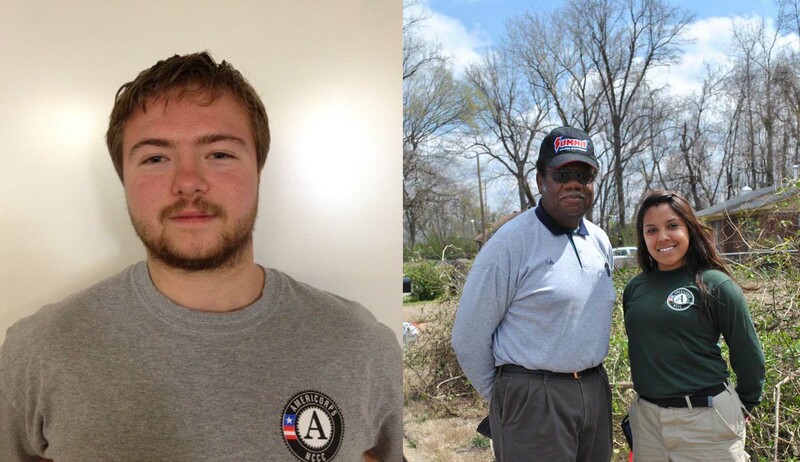 As the AmeriCorps NCCC River 7 Team gets ready to leave Memphis and head for their next eight-week round in West Virginia, I asked the nine Team Members and their Team Leader to explain why they joined AmeriCorps NCCC. Here are their responses. My name is William Custus. I am 22 yrs old. I’m originally from Baltimore Maryland but I now live in Washington DC. 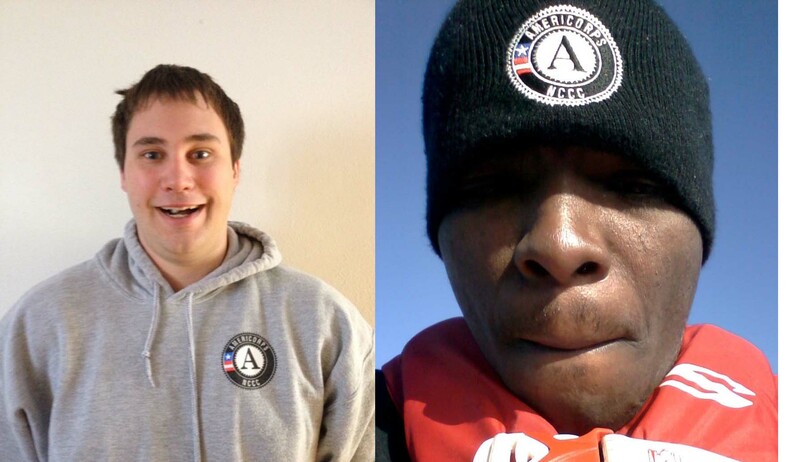 I joined AmeriCorps NCCC on February 11th 2013. The reason I joined AmeriCorps is because I believe in making a difference in people’s lives, and shaping communities to become safer, smarter, and healthier. Corbin Beastrom is a former college student from Cedar Rapids, Iowa. After three years in academia, he dropped out of a world defined by in-class essays, titular student government, and DC internships to embark on what he refers to as, “his first sabbatical.” Following graduation from AmeriCorps NCCC Corbin plans to lead a nomadic lifestyle comprised of graduate school, organic farming, and coffee. 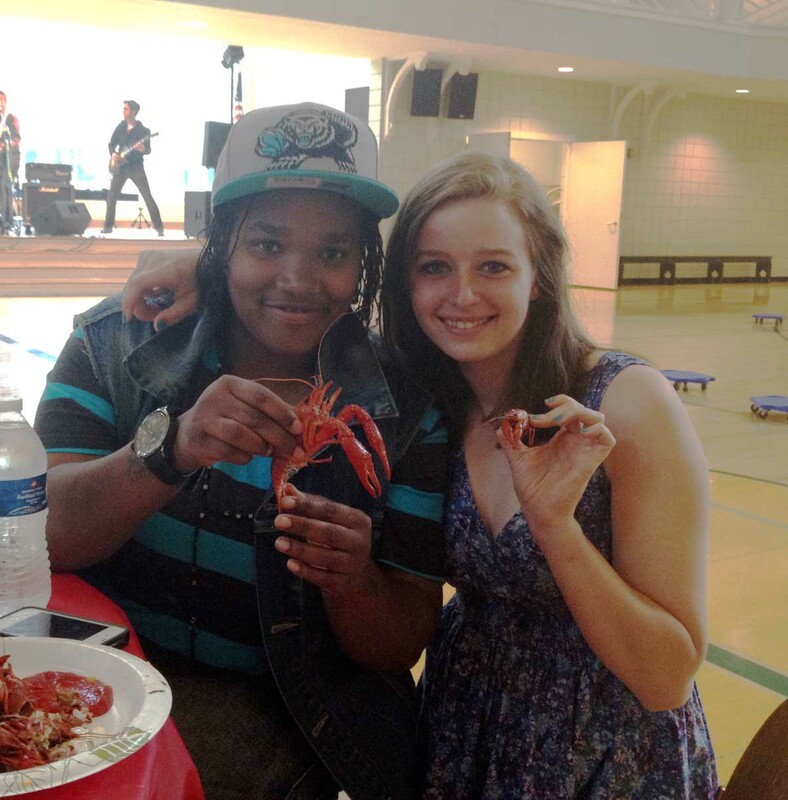 Kaneesha Frazier (left) and KT Ainsworth (right) get their first taste of crawfish at St. John’s Episcopal church in Memphis. My name is KT Ainsworth and I am 18 years old and from Bend, Oregon. During my junior year of high school, my dad received a heart and kidney transplant. The community took time out of their busy lives to help my family and make sure my siblings and I were cared for. Seeing just how much a community of people were able to positively affect a family’s life made me want to carry the kindness forward. That is why I joined AmeriCorps NCCC. Seeing the difference my team makes every single day is what pushes me to keep going. I love what I do and who I do it for. My name is Kaneesha Frazier and I am from Columbus, Ohio. 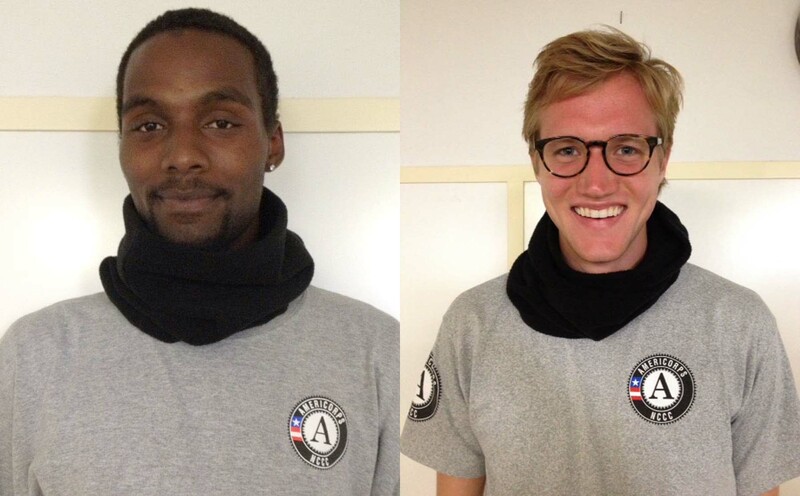 I joined AmeriCorps NCCC to help strengthen communities. I heard about AmeriCorps NCCC from my school Youth Build in Columbus and I plan to continue my college education in criminal justice upon completion of the NCCC program. My name is Bobbie Keller, I am 19 years old and before AmeriCorps NCCC I lived in Long Beach, Mississippi. I was affected by hurricane Katrina in 2005 and ever since then I have had a desire to pay it forward. AmeriCorps NCCC is the perfect program for me, I get to travel and volunteer. Hello my name is Raymond Smith. I am 19 years old and from Chicago Illinois. I joined AmeriCorps NCCC in February 2013. I joined because I heard that there was a program that helps communities in need and respond to disasters. I have a passion for helping others and to see that it makes me happy. I also joined to help change and decrease the crime rate by getting out into the communities setting an example for others so our world could become a better place. My name is John Cipollo. I am 23 years old and I am from Bristol, Connecticut. 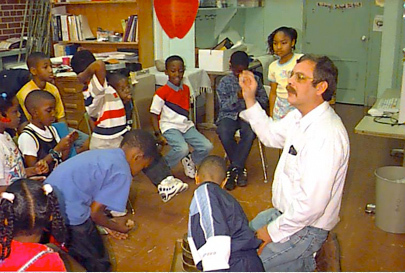 I joined AmeriCorps NCCC because I wanted to give back to the community. I am James Burks. Well my reason for attending AmeriCorps NCCC was to help others and at the same time better myself. 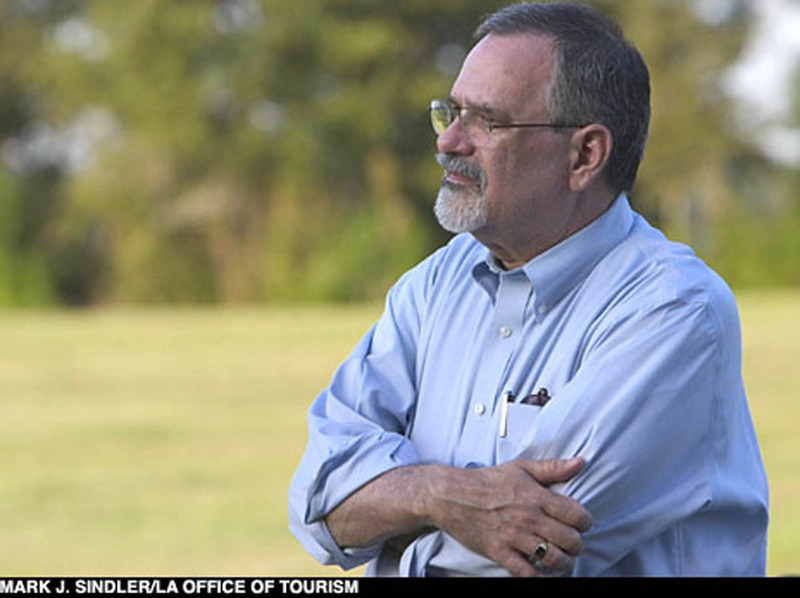 I also was interested in the traveling to see and visit different places. I was born in Chicago, Illinois but moved to Park Forest, Illinois. I have other sisters and a brother, but I am the youngest of them all. I wanted to venture off and see what I can do with my life. I like all kinds of sports. I am 20 years old and I like to chill and have fun. I want to make a difference in our community and I plan to try my best to do that. My full name is John Dale Hamburger III, and I am originally from Grand Island, Nebraska but for the past two years I have lived in Chadron, Nebraska going to Pine Ridge Job Corps. The reason I have come to AmeriCorps NCCC is due to the opportunity I have been presented to help others like when I was in Air Force Junior Reserve Officer Training Corps at Grand Island Senior High school. I feel great helping others and when something like AmeriCorps NCCC presented itself to me, I just couldn’t give it up so easily. Also cause I have always wanted to travel to other places and get to know others. Plus I can’t lie – I also did it for the College opportunity and I wanted to make a difference in my family by being the first person out of both sides of my family to finish a four-year college. 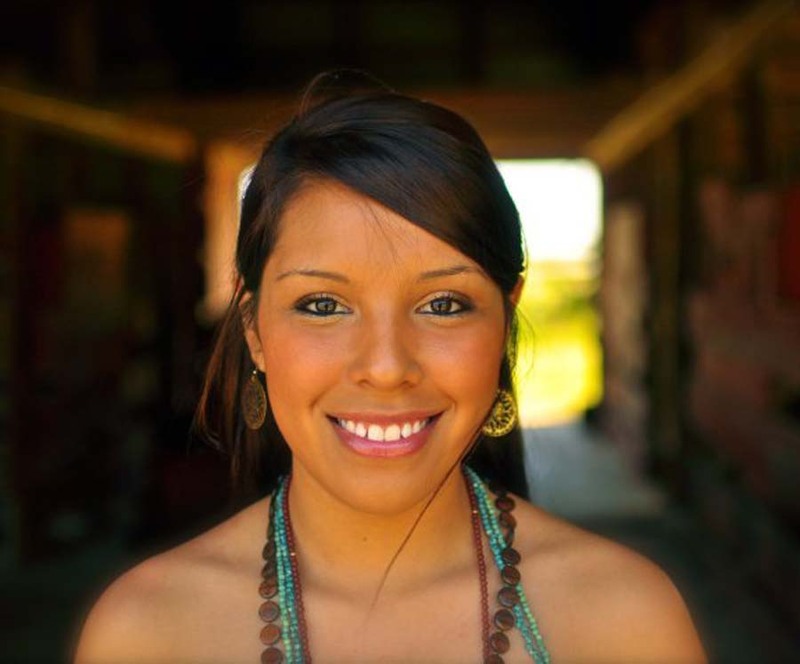 My name is Ana Rea and I was raised and had lived in Greenville, TX since the age of 9 and had never left my small town until I joined AmeriCorps NCCC. After attending Texas A&M-Commerce for a year I decided to take a break and really discover what it was that I wanted to do with my future. I am currently serving in my second year of AmeriCorps NCCC Southern Region as a Team Leader for River 7 and so far, I have been privileged enough to serve in the states of Tennessee, West Virginia, Virginia, Kentucky, Louisiana, Mississippi and Texas. I plan on continuing the path of service to others with an open mind and learning something new every day. This past Saturday at the C.H. 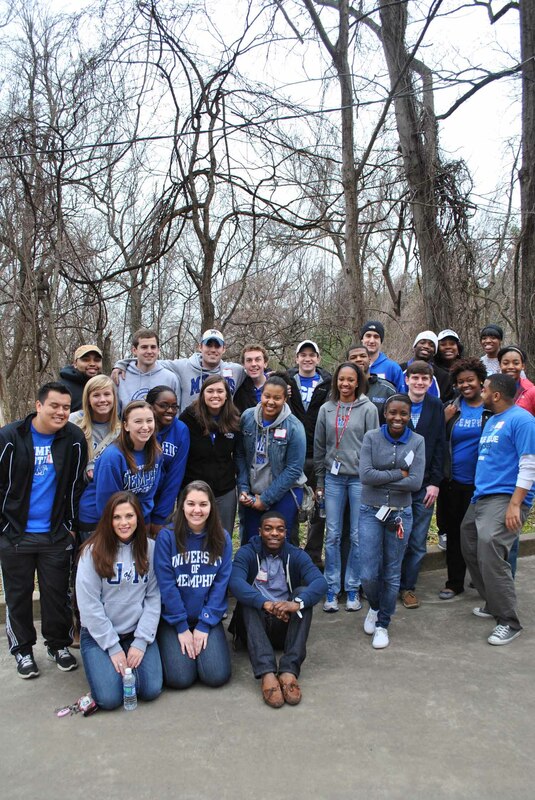 Nash Museum at Chucalissa 35 undergraduates from the University of Memphis participated in our monthly Volunteer Day. The students were part of a Service on Saturday group project organized out of the University. 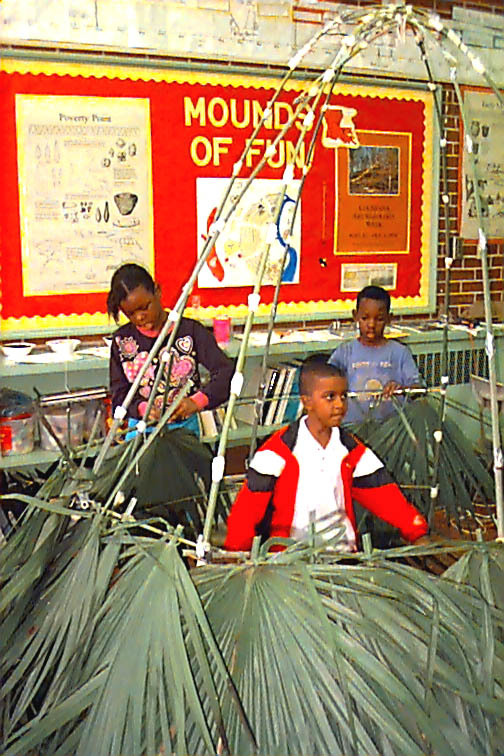 Typical projects include activities like neighborhood clean-ups, urban garden projects, and assisting in the assembly and staffing of the Smithsonian Institution’s The Way We Worked exhibit at a local community center. As participants in the University’s Emerging Leader Program, the students perform community service hours each semester. Yesterday at Chucalissa, they worked on our repository reinventory, digital photography project, and helped transfer over two tons of stone ground cover to our in process Traditional Medicinal Plant Sanctuary. The students supplemented the 20 volunteers who participated in our regular Volunteer Day activities. Two weeks before 25 members of the Memphis Archaeological and Geological Society (MAGS) spent four hours at the C.H. Nash Museum assisting with our repository inventory project. Six MAGS members returned this Saturday to participate again. Mike and Sherri Baldwin lent their artistic skills to repainting the 40-year-old model trees in our diorama display. In late January 45 visiting students from the Illinois State University spent the day at Chucalissa as part of a two-week Community Service Learning class traveling through the Southeast. After a site tour and discussion of our Museum’s commitment to community engagement, the students spent the rest of the day on a variety of service projects at Chucalissa. 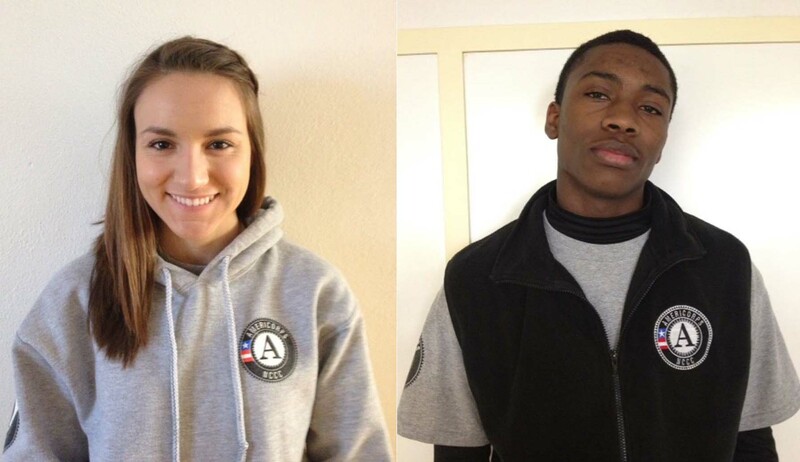 From mid-March to mid-April, we will host an 10 person AmeriCorps project. The crew will start by working on trail maintenance at the T.O. Fuller State Park. Then the AmeriCorps crew will work with archaeologists and community members on preliminary archaeological investigations of the 1930s era Civilian Conservation Corps (CCC) camp located near Chucalissa at T.O. Fuller State Park. The CCC project is particularly significant. The AmeriCorps of today are the legacy of the CCC, who in the 1930s “discovered” the prehistoric earthworks and artifacts that became known as the Chucalissa site. The discovery came while the CCC worked to construct a Jim Crow era swimming pool for the African-American community of Memphis. All of the above activities can be categorized as community service or community service learning projects. The National Service Learning Clearing House notes a distinction between the two activities: “If school students collect trash out of an urban streambed, they are providing a valued service to the community as volunteers. If school students collect trash from an urban streambed, analyze their findings to determine the possible sources of pollution, and share the results with residents of the neighborhood, they are engaging in service-learning” (citation here). There is a good bit of gray area between the two types of service activities. One might argue that the students yesterday who were spreading stone ground cover for the Traditional Plant Sanctuary were only “providing a valued service to the community” as they did not “analyze their findings” etc. In our museum settings today, we must provide the types of service opportunities that can bridge fully into learning projects. This is a key ingredient to all of our volunteer/service opportunities at Chucalissa. Using the parlance of Simon’s Participatory Museum, I have posted before on the distinctions of contributory, collaborative and co-creative visitor and volunteer experiences. Seemingly, the more complex the level of engagement for the participant, ultimately, the more complete the stakeholder development. I am not convinced that is true. I don’t see the contributory, collaborative and co-creative experiences as hierarchical. Rather the range is different. The same is true for community service and community service learning experiences. As we strive to be relevant institutions to the public that we serve, we must also be keenly aware and ready to nurture these relationships. A key understanding is that as public institutions, museums must truly serve the public. With incredible regularity I repeat “The only reason we exist as a museum is because of the visitor. Without them, we would function only as a repository or research station.” In the same way, as public institutions, the public has a responsibility to use, engage with, and advocate for museums. 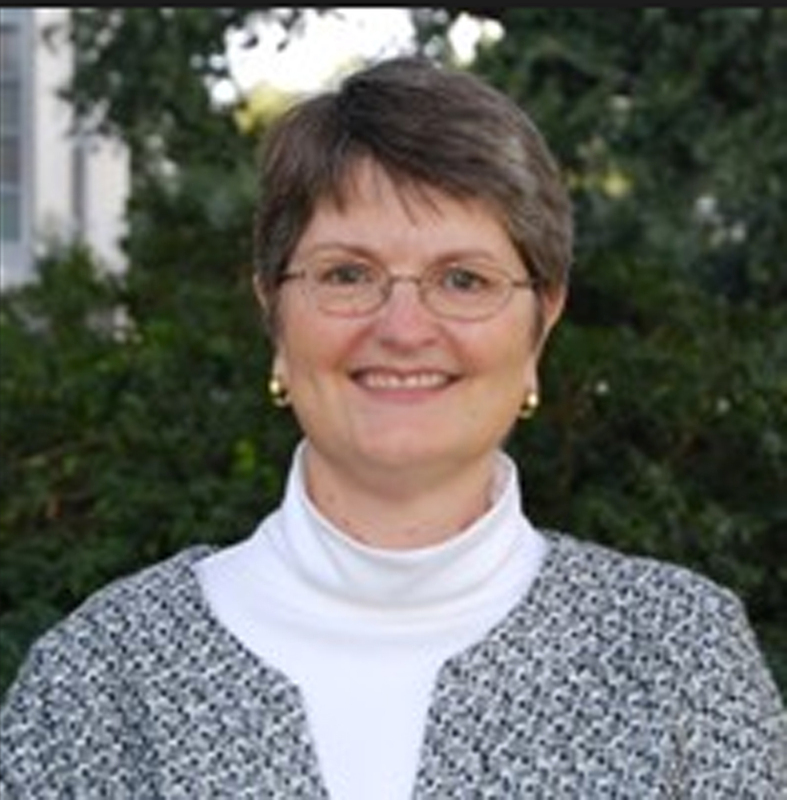 A reciprocal relationship is the foundation for sustainable institutions into the future. Archaeology and Community Service Learning edited by Michael Nassaney is a recent volume with loads of case studies and thematic discussions as a guide and introduction into this process. The American Association of Museum’s Mastering Civic Engagement: A Challenge to Museums, though published 10 years ago, remains extremely relevant today. The volume consists of short essays that discuss museum and community relationships, including community service interactions. The National Service Learning Clearing House, as the name implies, is a great first stop to become oriented with Service Learning whether as a student, parent, community leader, or nonprofit institution. What are your experiences with service and service learning activities?